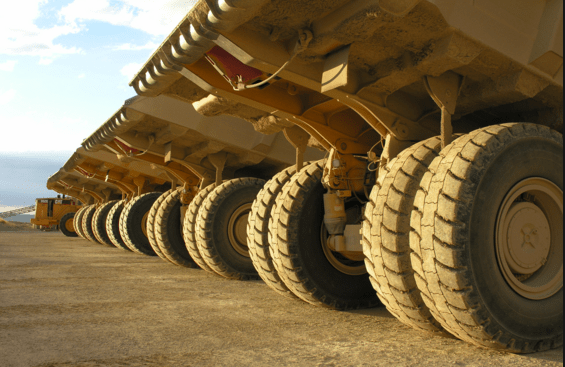 How do you achieve Mining Fleet Optimization with the OEE metric? Many industries are dependent on their heavy assets for production; this is very true for mining companies. Fixed plant and mobile fleet assets are two areas of major capital investment for mining companies, and for mining contractors, making them a consistent area of focus for improvement of asset utilization and investment returns. For instance, an operations mining truck fleet typically costs around 20% of the mine’s initial capital expenditure, it requires significant sustaining capital and incurs large on-going maintenance and operating costs over its entire asset life cycle. An increase in size and capacity of mining equipment over the years has drastically changed the consequences of equipment ineffectiveness. Current economic conditions, lower commodity prices, global competition, environmental regulations and an increasing focus on safety have put significant pressure on mine managers to consider more creative and value-driven methods to determine the effectiveness of their mobile mining equipment and how to improve in the most efficient way. As mining fleet operations are a key driver of volume, necessary steps should be taken to increase the effectiveness of mobile equipment and to reduce the total production cost. Productivity of mining equipment can only be successfully managed and improved if an appropriate performance measurement system and metric is used. OEE is a known method to measure performance of production equipment in general, Production OEE is an enhancement of this approach that delivers exceptional value for the mining industry. Production OEE is a metric and a concept that identifies and prioritizes production losses within a mining operation through the categorization and quantification of losses in actual production terms. Production OEE shows the efficiency of an operation in terms of total capacity – the amount of actual product produced compared to a fixed target. The defined difference between actual and target would constitute your improvement opportunity. The concept has been developed to encourage and enable mine operations to maximize their return on investment, by eliminating production losses and limitations that prevent an operation from approaching and exceeding its maximum sustainable production rate for longer time periods. In a defined work process, detailed reasons for production losses are recorded in a software system and highlighted through dashboards and reports. This allows for a valuation of systemic and specific issues in terms of production impact, this is very powerful for directing resources to the issues that matter the most to the mining operation. Production OEE generates visibility of current operational issues, but it can also be used to direct future investments for de-bottlenecking. In many cases there are big issues with data communication. Either there are no good communication systems in place (as in many underground mines) or the system has bad coverage and data transfer capability. Real time measurement of productivity data requires good and reliable communication. Many mines use manual or semi-automatic reporting on issues currently. This reporting can happen by pen and paper, or in some cases via radio to a dispatcher that records the information. If you are lucky, this radio communication might happen every cycle but sometimes it is just once every 5 cycles or maybe never during a shift. You ideally want this data to be created automatically and in real-time where possible. Getting live data for the operating equipment through an FMS to feed a Production OEE measurement system is a step in the right direction, but in most cases the systems are not set up in the right way to support this particular measurement. Problems may include incomplete delay codes and moving performance targets. The FMS needs to be set up properly. Mining schedules often appear with multiple mining locations and dump-sites, where a dump-site can also represent a waste dump, low grade stockpile or a mill, all with varying cycle lengths. You also constantly get new haul roads, dig locations and dump locations added. On top of this you can have equipment of different sizes coming in and out of your active fleet. A measurement system needs to be able to cope with all aspects of a very dynamic production system. As usual, technology plays a vital part of the solution when identifying the production losses that matter the most. If you can understand in real time what is going wrong in your mining operation, there is often a huge potential for improvement. 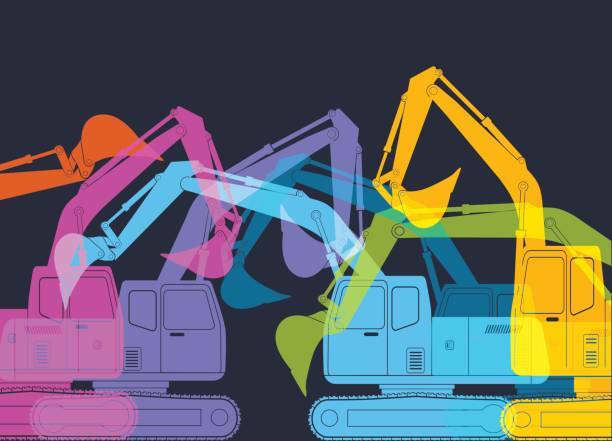 Without the technology in place, you have a slim chance of uncovering your most important improvement opportunities and will struggle to increase production. Productive mines know technology drives success. Companies of today must be smarter, safer, and quicker to respond to change. Their future depends on it. There has never been a more opportune time to uncover improvement opportunities and get visibility so that you can react quickly to prevent further losses. You can do this with smart use of technology, software and an application of the Production OEE measurement and concept. We have now developed systems and software that can do this measurement in real-time so that many of the challenges previously stated can be handled more easily. This makes the implementation of Production OEE for mining fleets more robust, accurate and effective. Parking trucks can lead to substantial savings in operating costs such as tyres, labour, maintenance and diesel. If you can dispose of trucks completely you can get an even higher return on operating assets. Trucking operations can be more efficient by reducing equipment downtime through improved reliability and streamlined planned maintenance. Efficient shift changes and hot seating is a must. In a trucking operation, hours of downtime are lost per truck each day on average in delays and shift changes, resulting in a significant loss of ore tonnes moved each day. The time they take to travel, the time they take to load, haul and dump, as they are key drivers of haul truck productivity. It is important to avoid either under loading the trucks or overloading and them as it has a detrimental effect on reliability and subsequent maintenance costs. Included in load precision is also dumping the load at the right location. Production OEE as a concept is a measurement of mine production capacity considering all aspects of an operation such as customer demand, availability, utilization, performance and quality. We have very well-defined measures for how to calculate Production OEE for a mobile mining fleet and with the implementation of the right systems and software we can now do this in real-time. The biggest challenge I see in any mining fleet optimization initiative is knowing where to focus your effort. I have found that Production OEE is a very powerful solution that removes the complexity around what activities are needed to optimize the capacity of a mobile mining fleet at any mining operation. Learn more about our Production OEE Module, from the Optimum Software Platform.